A rather large menacing bald man with a beard comes forward in a dark room. There is another figure remaining in the darkness. 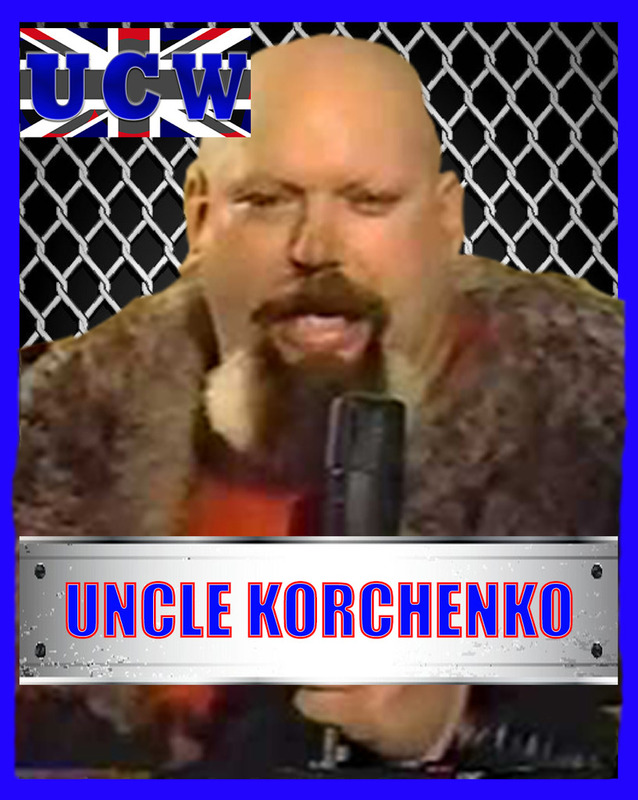 Uncle Korchenko: (in a thick Russian accent) I'm sure many of you do not remember me. For those of you who do, I'm sure this is quite a shock. It has been a long time since my days of running roughshod in American rings, taking what I wanted, destroying weak Americans, and draping the Russian flag over their beaten bodies. I'm sure seeing my face again is triggering fears that have been buried deep for a long time. For you that remember, I have...how you Americans say...good news and bad news. The good news is...my days of destroying and burying puny Americans are a thing of the past. You have nothing to fear from me physically. But...the bad news...is standing behind me in the shadows. Do you see him there? All six feet, eight inches of him? Do you feel the intimidation that comes from his 262 lbs of pure defined musculature? Do you feel the intensity coming from his cold determined stare? Are you uncomfortable? YOU SHOULD BE!! For right now, out of the darkness, coming into the light...is the next stage of the Russian Wrestling Evolution...from the past Russians who have dominated the wrestling world...from myself...the Volkoffs...the Kruschevs...the Zhukovs...the Koloffs, Uncle Ivan and nephew Nikita, the Russian Nightmare...ladies and gentlemen...and you puny Americans...I give to you the product of an entire lifetime of training and preparation...my nephew...the Russian Dream...Vladimir Korchenko! Vladimir steps out of the darkness with a highly intense stare at the camera. Vladimir Korchenko: The Russian Revolution...has begun! 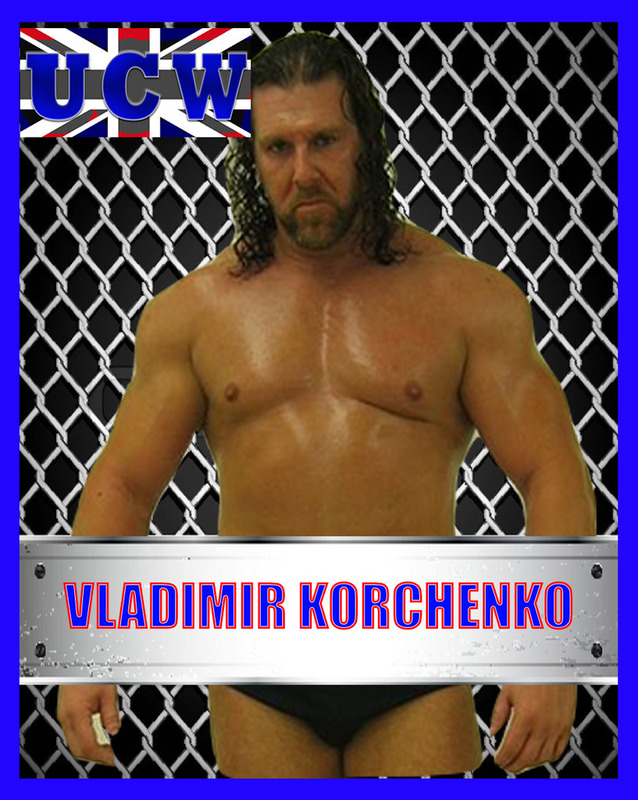 Great to have you with us Vlad, will get your card made soon.